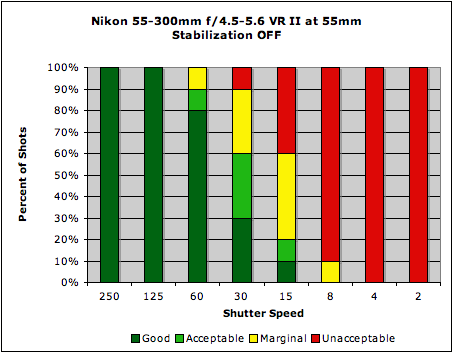 At the widest end of its range, Nikon's vibration reduction (VR) system provides four stops of shake reduction, as promised; the most impressive gains were noted at 1/8 of a second, where Rob was getting sharp images at what should have been requiring 1/60 of a second. 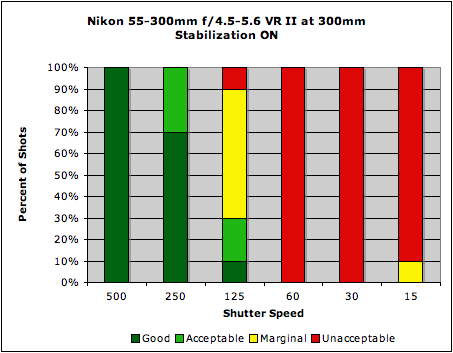 Even at 1/4 of a second, he was still getting sharp images 50% of the time, and acceptable images a further 40%. 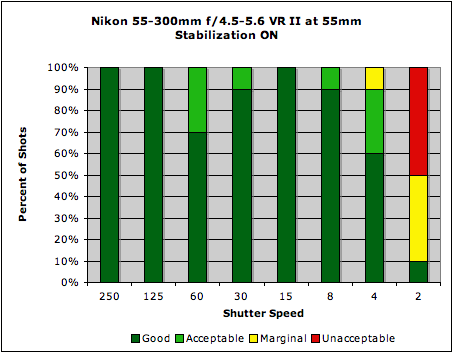 At 300mm the VR system wasn't offering the same refined performance - we note perhaps an extra stop of shake reduction. 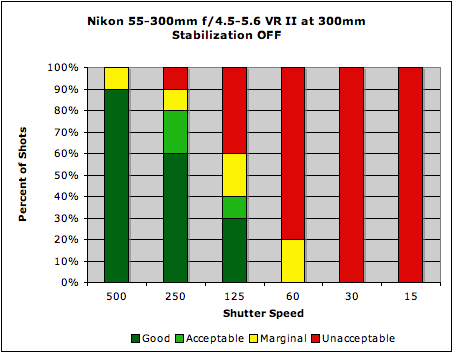 The 300mm focal length ''should'' require a shutter speed of around 1/250s, and indeed the results with VR off showed only 60% of those shots were sharp. With VR on, 70% of those shots are sharp, and the other 30% are acceptable. At 1/125s, there's no huge gain - in fact, less shots are clearly sharp, but more shots are marginally sharp.